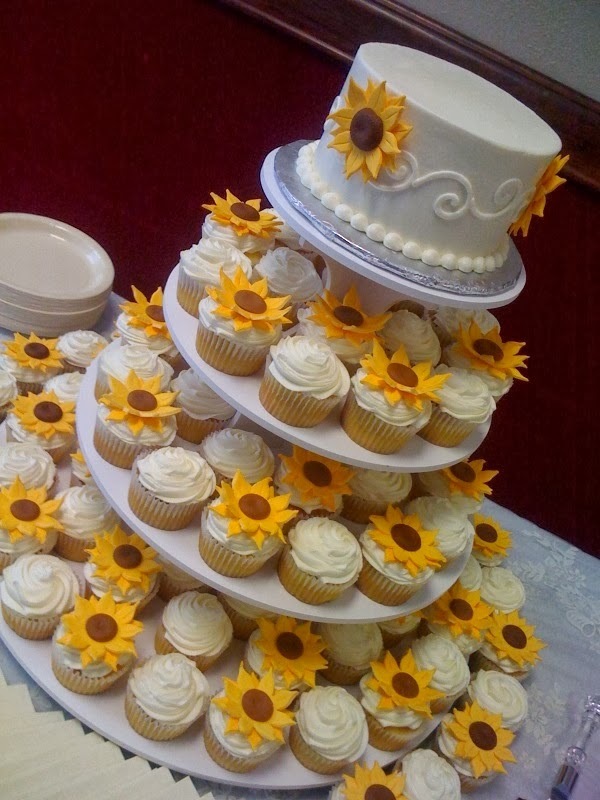 Memorable Wedding: Serve a Sunflower Wedding Cake To Showcase Your Style! 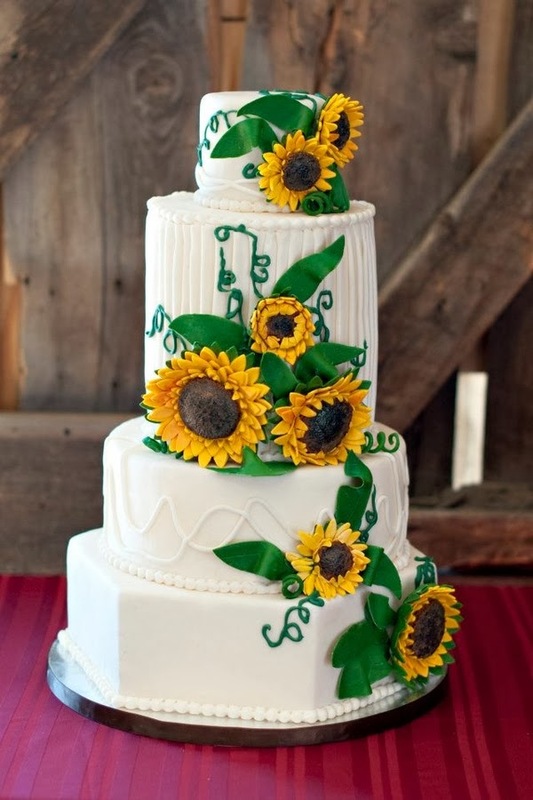 Serve a Sunflower Wedding Cake To Showcase Your Style! 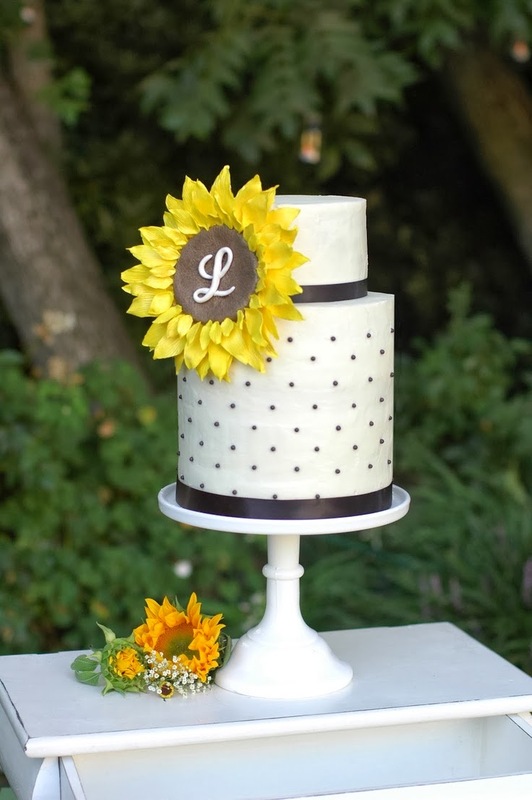 A sunflower turns to follow the sun and is a symbol of warmth, happiness, adoration and longevity - a perfect choice for a late summer or early fall wedding. If you are having a sunflower themed wedding, you can find these large, bold beauties in more colors that your typical golden yellow. 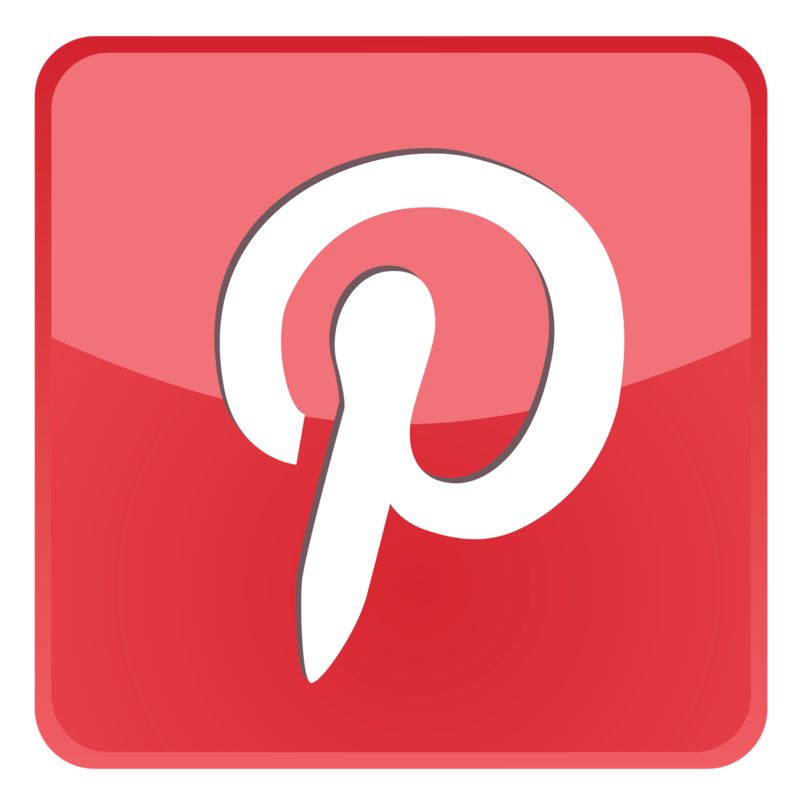 They come in bright reds and light shades as well and can very in size if you are looking for a sunflower on the smaller side. 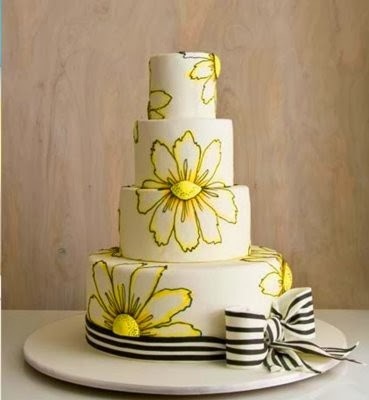 For your sunflower cake, you may want to use the traditional color scheme and have a golden frosting with dark chocolate accents or vice versa. This combination will be a bold statement and stand out much the way a sunflower does in a garden. 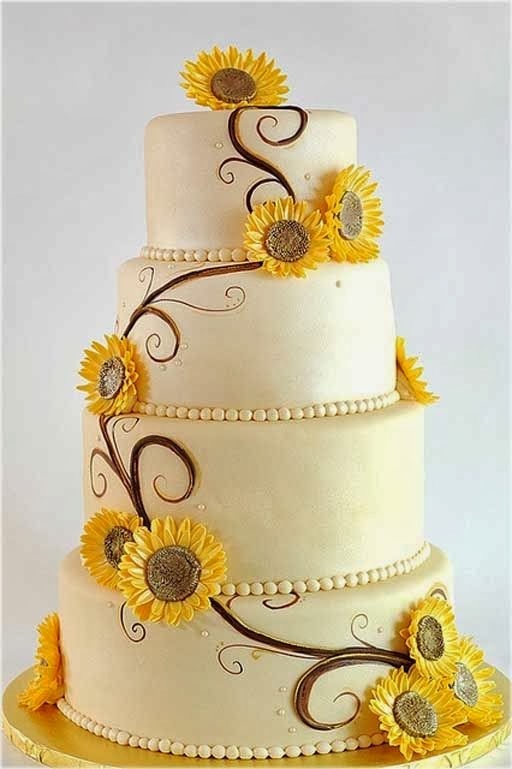 Have a tall tiered cake designed; the bottom tiers being the tall green stem of the sunflower and the top tier that is special for your and your groom can be decorate as the sunflower itself. For another little surprise, have your sunflower cake be a spice cake rather than a traditional vanilla or chocolate sponge. 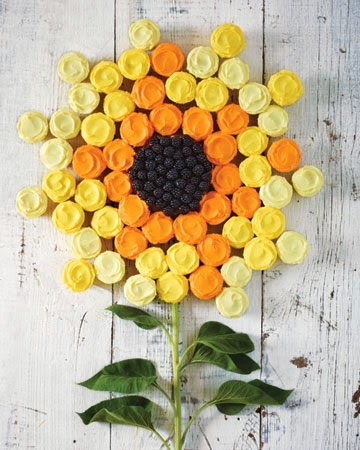 Along with your sunflower cake, offer your guests dishes of chocolate covered sunflower seeds. These can come in plain milk chocolate covering or can be covered in colored chocolate to match your theme. The unique taste of the sunflower seed combined with the familiar chocolate will be a nice treat for your guests. 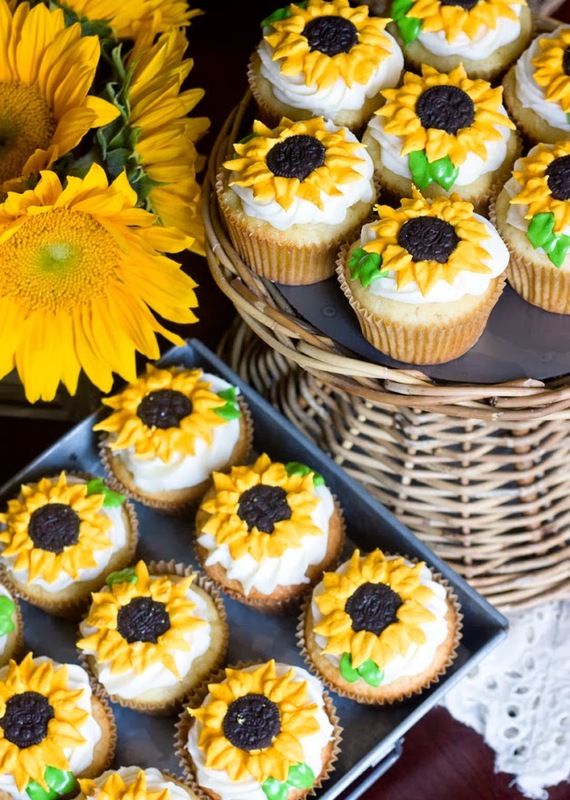 Serve your guests a colorful garden and have individual chocolate cakes made for your guests in a sunflower shaped mold and frosted in golden yellow, brilliant red, or pale cream. Sunflowers are quick to grow and a package of seeds for your guests would be a terrific parting gift. Have the packages personalized with your names, wedding date, and a cute saying like, "Here comes the sun."